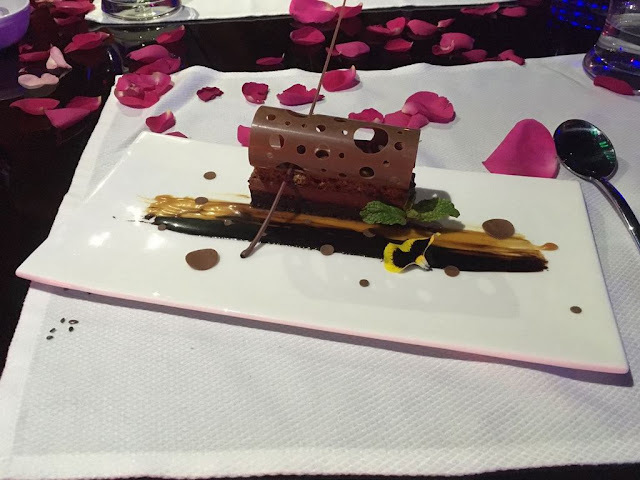 Valentine's Day is almost here and if you are still in the process of making plans, here is a list of 14 interesting options in Bangalore for you to consider. Smoor Chocolates lounges will be hosting a game between couples on February 14th, with a pre-prepared question from the couple that will test who is the true Valentine between the two. The winner will get a 2 piece box of heart-shaped raspberry chocolates as gift. 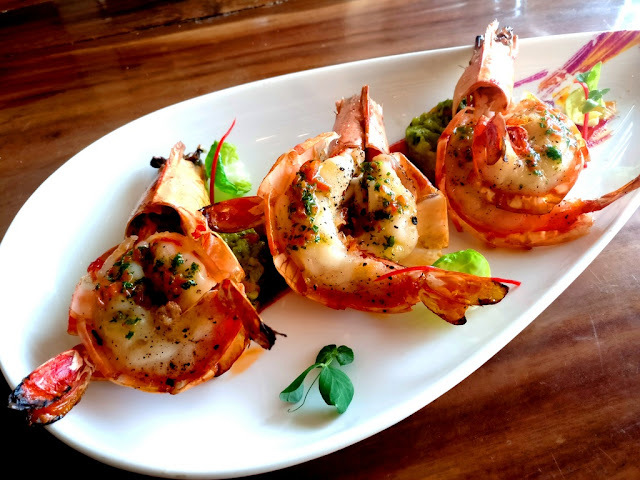 Valentine's Day is round the corner and Punjab Grill Gourmet Fine Dining, Bangalore has curated a menu of specials, combined that with a bottle of wine to make your date a very memorable one. 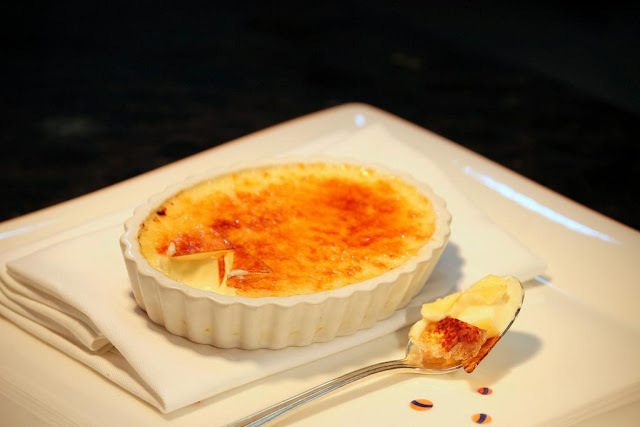 We were recently invited to a preview and were very pleasantly surprised with the great food. Keep in mind that the meal is heavy one, but then, think about it, when was the last time you sat with your partner, over a long and leisurely meal and actually had a conversation? 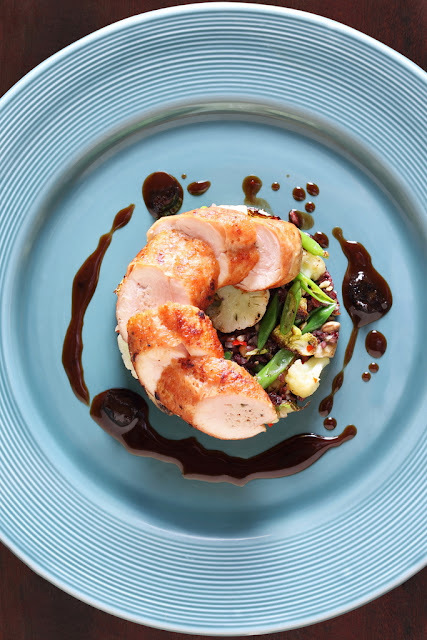 This meal will assure that you connect with your partner over good food! Pssst - the restaurant ensures mood lighting, candle light et al... Here is what you can expect. The meal is priced at Rs 3500++ for a couple. Though the Flambed Gulab Jamun is not on the menu, you should consider asking for it! 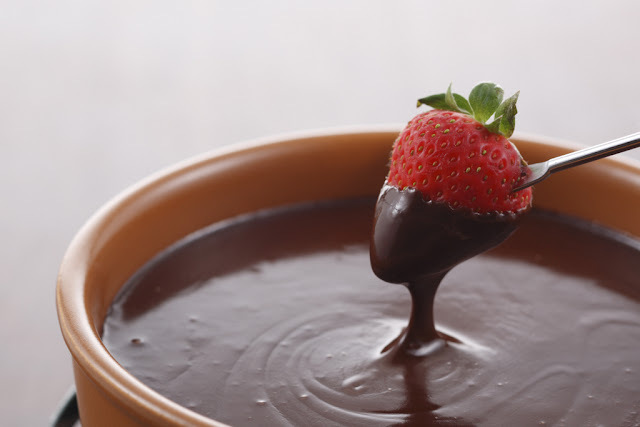 Sheer Indulgence and romance awaits you and your loved one this Valentine's Day. 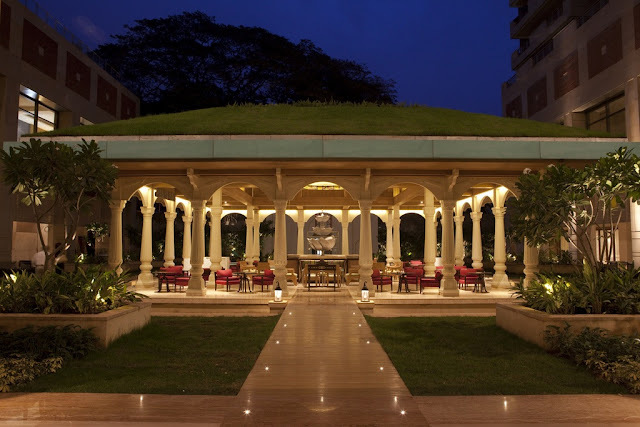 A Specially crafted menu and sparkling wine amidst a perfect setting. ITC Gardenia puts together the most exquisite buffet and ambience in the city, tailor made to the day of love. With three fabulous settings to choose from, make your loved ones feel extraordinary! 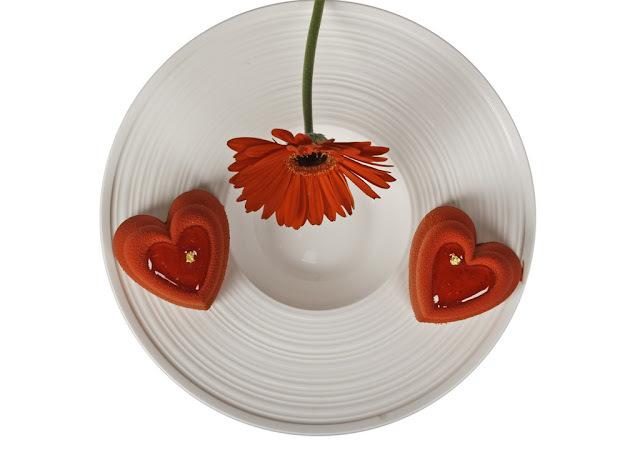 The Oberoi has a lot planned this Valentine's Day. You will be spoiled for choice! Raise a toast to love with a bespoke menu of authentic Thai cuisine lovingly curated by our Master Chef tam, using her unique blend of sweet and spicy flavours. This Valentine’s Day Monkey plays wingman and pairs you with the perfect Cocktail. Walk in single, practice your pick-up lines on our bartenders and get paired with the perfect Mama’s Girl or the Mad Men who love crazy women. To get you into the party mood we have specially priced Beer Pitchers (Rs 500 AI) and Cocktail Pitchers (Rs 1500 AI) all night long. Plus every groups of six or more friends get a round of shots on the house. So if Last Christmas you gave your heart away then say Hello to a new Love Story. Make your Heart goes-on at the coolest Valentine’s bash this year at Monkey Bar. Fancy a love-laced three course meal? This Valentine’s make a reservation for you and your special someone at Toast & Tonic: East Village Style, the international restaurant and bar in Bangalore. Dine on world cuisine with the best of regional and seasonal produce - a three course signature meal with complimentary sparkling wine cocktails priced at Rs 3000 plus taxes per couple, awaits you. Our three course menu with ample choices for both vegetarians and non- vegetarians, from our most popular signature dishes, promises you an evening like no other. 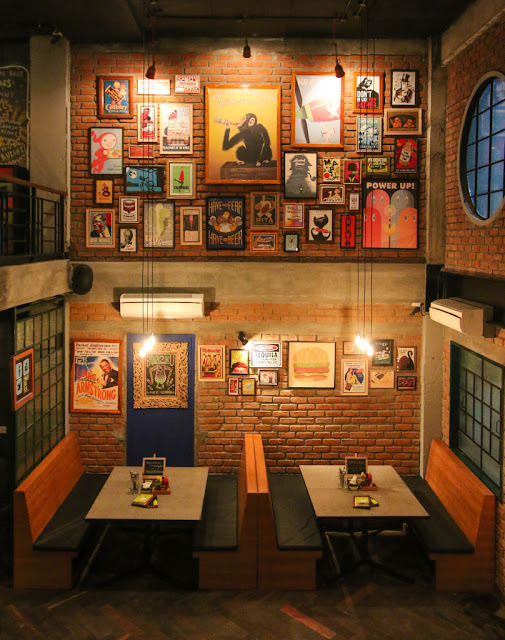 Radical, edgy and spirited yet warm, welcoming and somewhat familiar, Toast & Tonic captures the soul and spirit of world cuisine with a balance of local Indian ingredients and freshly made products, like never before. Spread the word and the love! Olive Beach – is undoubtedly the most romantic restaurant in the city. This Valentine’s Day, Olive Beach presents “A Taste of Romance” - an exclusive five course course dinner experience of exotic Mediterranean delicacies and fabulous desserts which is sure to melt away your beloved’s heart. 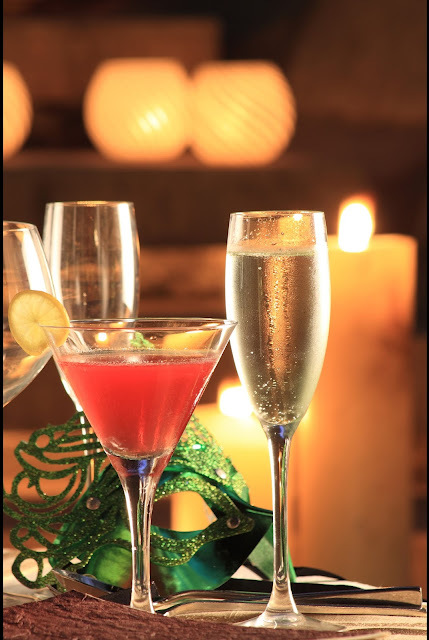 With complimentary Chandon Brut for every couple this promises to be the perfect night out. So come and indulge in a sumptuous meal of Mediterranean specialties and desserts in a spectacular setting! This Valentines at Olive Beach promises to be the ultimate romantic indulgence with its relaxed stylish ambience, a place to express your feelings and celebrate the spirit of love. 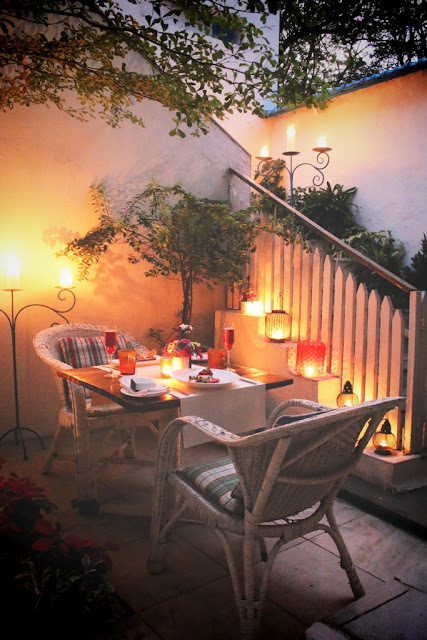 Choose alfresco dining with candle lit tables in the courtyard, the cosy ambience of the main lounge and restaurant or drink and dine the night away under the stars! Pick the space that matches your style and treat your special someone to a truly memorable night. Make this Valentine's Day truly unforgettable! Note: All reservations will be confirmed on full payment either in cash or card at the restaurants before February 14, 2016 only. Tea and crumpets with some luxe lite bites in the afternoon have been the highlight of the indulgent epicurean tribe. It gets even better with our legendary tea morphing into a Love themed Afternoon Tea over Valentine’s Day. Enjoy a range of special additions like Red Velvet Cupcakes, Meringue Love, Valentine's Day Chocolate Trail and a special Pear-Raspberry Heart Pie along with many love-inspired delights. 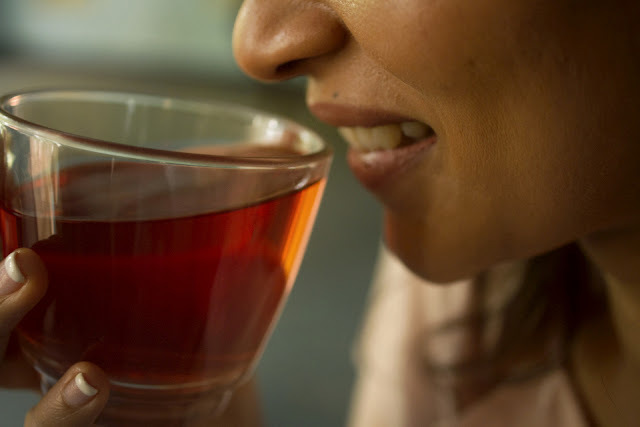 Sipping on some delicately brewed tea, one is encouraged to forget the world outside during this special time of love. A laid-back meal lovingly spread out by our chefs, will have special somethings to remember….best shared with that significant other. At The Market - A specially thought-through dinner Buffet on the 14th February. Here's a fresh take on Valentines Day. We celebrate with Chef curated pairings of heavenly Macarons and red colored Tea. For food we choose to fuel our young and energetic couples with lots of protein and healthy vegetables so they can carry on with the festivities sans a break. Finally there's always something for the sweet people with a red colored Tea of course. Pairs: Pairing of one pot of Rosehip hibiscus fruit melange tea and 4 Belgian dark chocolate & raspberry macaroons – Rs 400+taxes. Are you looking for the perfect destination to spend this Valentine with your beloved? We’d recommend you to celebrate at Shiro with its soaring space and enchanting ambiance that stretches your senses. 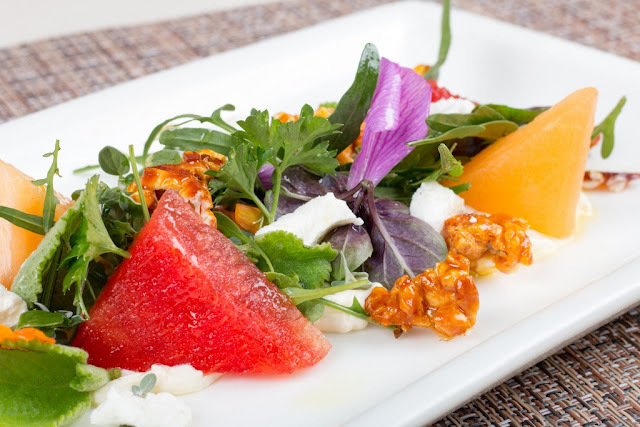 Come indulge in a specially curated 4 course set menu that will be served on February 13th & 14th. The four course set menu will be served alongside a chilled bottle of Chandon Brut Rose for a superior and exceptional experience which is sure to woo your beloved. Shiro will offer a variety of soups, appetisers, mains and desserts, elaborately curated for the most discerning palates. Experience the bliss of sparkling with Chandon Brut Rose for you to savour your meal. 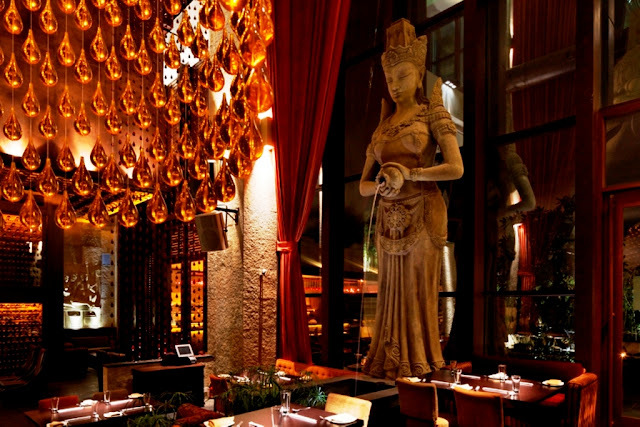 Come, experience some great food, delicious wine, soul lifting music amidst the eclectic zen like interiors at Shiro! Reservations: 080 41738864/61 or 7259021119. The season of romance calls for quality time spent with the person you love and sometimes, a special setting is all you need to build up your romance. Bengaluru Marriott Hotel Whitefield is all set to offer the perfect ambience that will make the you and your date the center of each other’s attention and spark intimate conversations only for each other’s ears. A indulgent dinner that includes Gambas And Avocados, Grilled Artichoke Heart (Ricotta Ravioli With Three Pepper Sauce), Warm Lobster Salad With New Potatoes etc. will make the meal a cherished experience that is sure to take its special place in your collection of everlasting memories. Come February and the colour of the season changes to romance and love as Valentine’s Day takes center stage. Taj Group of Hotels, Bangalore presents an exciting array of dining options to make your Valentine’s Day special this year! If you are craving to revive your spirit, unwind and rejuvenate… look no further, Vivanta by Taj – Whitefield, Bangalore presents an exciting experience to you to get Indulge in deep romance at Latitude with a delectable set menu especially curated by Executive Chef, Satya Kedarnath accompanied with free-flowing wine. Experience the perfect gateway of love at INR 7999 per couple between 7:00 – 11:00 pm on 14th February, 2017. Latitude is also offering an exotic sensual food journey – “Casanova Diaries”, an ultimate romantic meal that celebrates dishes prepared with aphrodisiac ingredients such as - oysters, chocolates, truffles, caviar honey and many more between INR 30,000 per couple (AI) and INR 1,00,000 (AI) depending on the offerings. Spend a blissful evening with your soulmate and enjoy the timeless charm of the most elegant bar in the city – Tease. Apart from enjoying the especially curated set menu, raise a toast with your loved one, in a cozy table amidst live music at INR 6999 plus taxes per couple between 7:00 – 11:30 pm. Dessert lovers can also pamper their loved one with exquisitely crafted cakes, pastries, cookies and chocolates at Caramel between 9th – 14th February, 2017. Call 080 6693 3333 for more details. Executive Chef, Agnimitra Sharma featuring delicacies from Paranda and Azure at INR 6999 (AI) per couple between 8:00 pm – 11:30 pm. Call 080 6690 0111 for more details. Gift your loved one a royal evening at The Gateway Hotel – Residency Road, Bangalore with a special gourmet menu at Northern Gate, renowned for authentic and flavorsome North Indian delicacies, curated by Executive Chef, Naren Thimmaiah at the price of INR 1300 plus taxes per person between 7:30 – 11:00 pm. The award-winning restaurant - Karavalli is offering a distinctive compilation of vegetarian and non-vegetarian delicacies featuring culinary jewels ranging from the best of the Mangalorean Bunts and Konkanis, Kodavas from Coorg, Malayalees, Calicut Muslims and Syrian Christians of Travancore, Havyaka Brahmins of Vitla and the Portuguese of Goa. The dining experience boasts of a West Coast Seafood Grills and invites you and your partner to embark on a dinner couple set menu priced at INR 5999 plus taxes per couple. Call 080 6660 4545 for more details.